The small town of Cañas is conveniently located near the city of Liberia, yet has its own charming, traditional feel that many individuals look for when investing in Costa Rica. On the outskirts of town, things move at a slower pace, with horseback-riding ranchers keeping the farming industry alive and thriving in this part of the country. While Cañas is a small town, when it comes to investing in Costa Rica real estate here, many look to the open fields, large estates, and working ranches that cover the surrounding area. Aloe vera farms feed the country's thriving aloe vera beverage industry. Cattle farms supply dairy and meat for both domestic and international consumption. Rice paddies meet the demand in a nation where rice consumption is part of everyday life. For those who imagine investment or retirement in Costa Rica, yet are looking for something different than either beachfront or city living, Cañas is an excellent option. Luxury homes with modern finishes can be found or built if so chosen, though you won't find the pre-planned neighborhoods and upscale vacation rentals prevalent in so many other, more developed areas of the country. If you'd rather see a country landscape and mountains around you instead of ocean views, Cañas may be just what you're looking for. 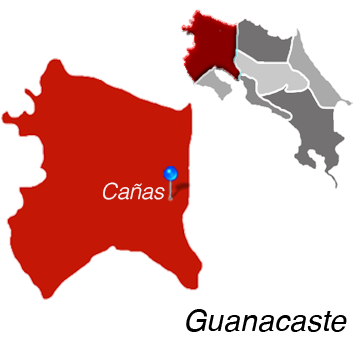 The Cañas real estate market is largely untapped, with out-of-towners being a small and largely unnoticed part of the local scene. If you're looking for some peace, quiet, and a slice of traditional Costa Rican life, you'll want to learn more about Cañas. 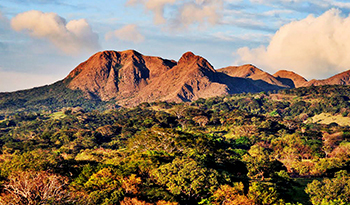 Cañas is Located in Guanacaste.